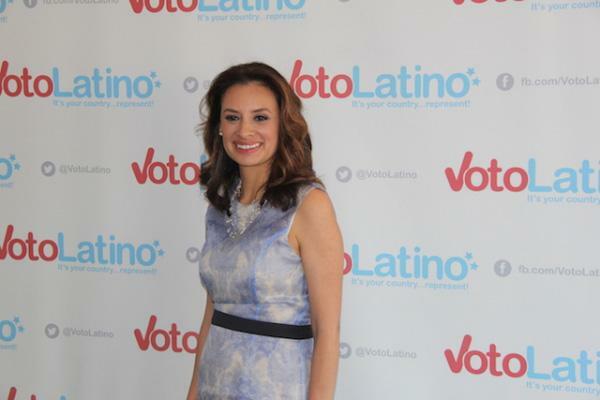 MARIA HINOJOSA: If there’s another voting demographic talked about as much as Latinos, it’s millennials. Of course, these two demographics overlap. A major chunk of potential Latino voters are millennials. But a lot of them aren’t getting to the polls. Two of our millennial producers, Fernanda Echavarri and Antonia Cereijido, got together in our studio to talk about what Latino millennial voters care about and why they’re not voting more. MARIA TERESA KUMAR: If you look at the recent studies, millennial Latinos are much more drawn to issues than to candidates. And I think it’s because they are more skeptical of the system, they’re learning the system. FERNANDA ECHAVARRI: So, what did María Teresa tell you were some of those issues that Latino millennials care so much about? ANTONIA CEREIJIDO: There is one issue that makes Latinas in particular go out to the polls. KUMAR: They are more likely to register and vote if, at the local level, there is a woman’s right to choose on the ballot.